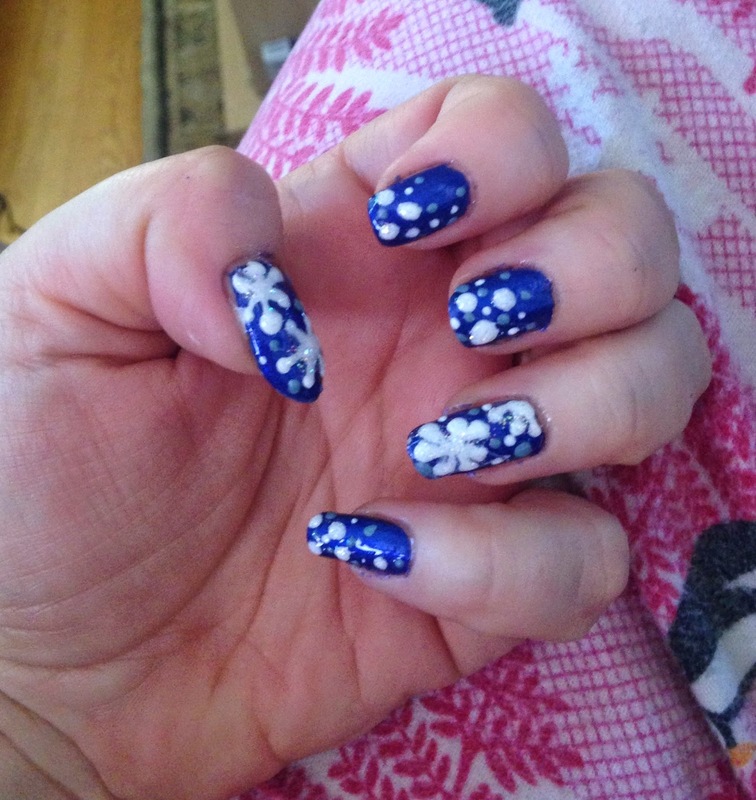 These snowflake nails are so pretty. It looks like a close up of snowflakes and snow falling. They have a sophisticated look to them. Great for Christmas parties, winter wedding or even for everyday wear. 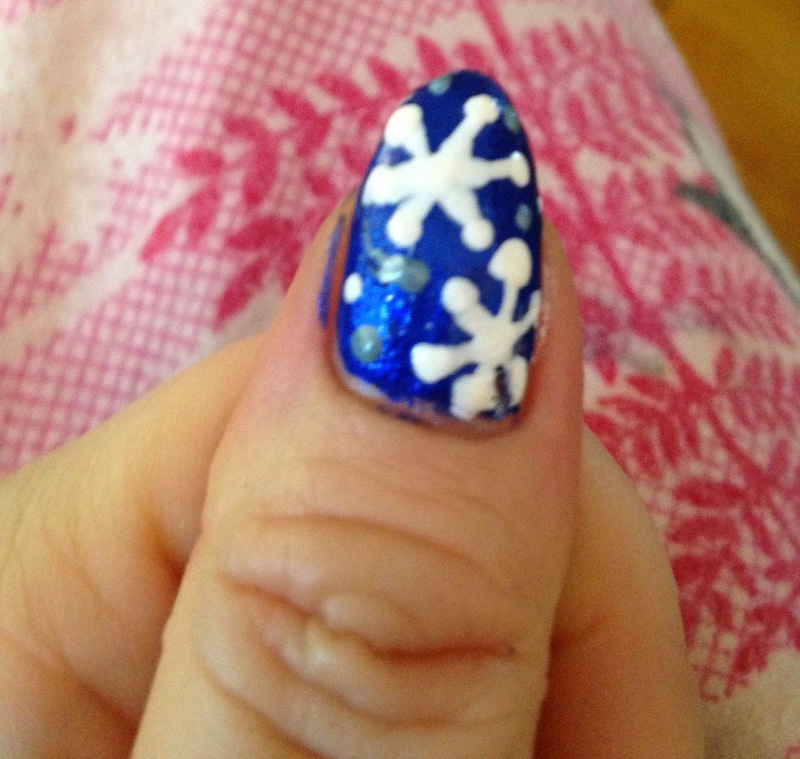 I used the snowflakes as accent nails on my thumb and ring finger. 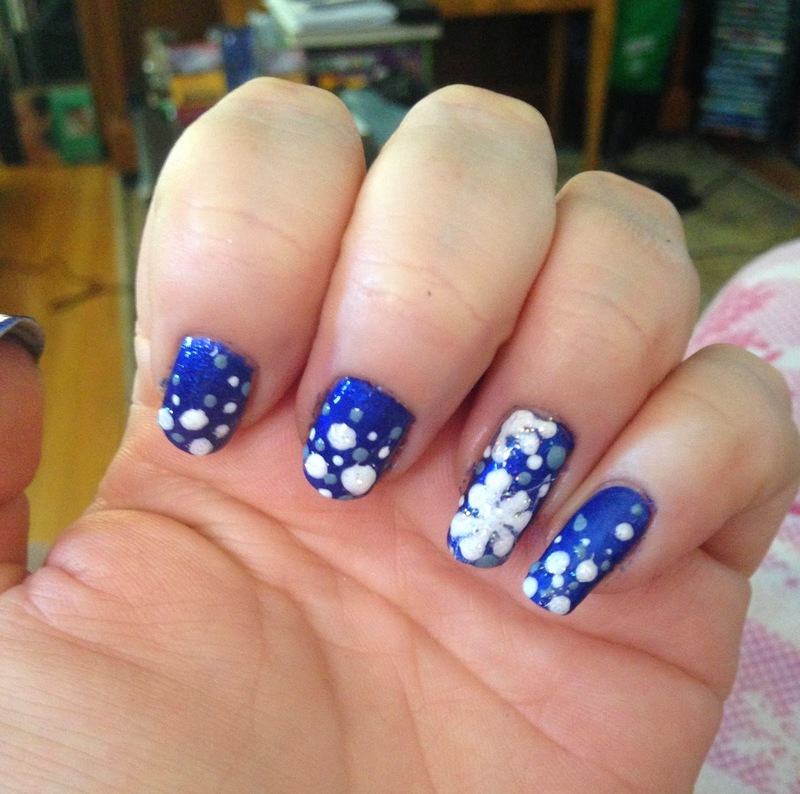 You can definitely use the snowflakes on each of your nails. 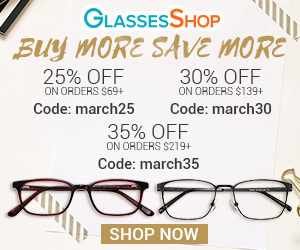 You will need a dotting tool and a nail striper, if you don't have these items on hand, here is my blog post on DIY Nail art tools. For the colors, I used a bright blue background, white for the snowflakes and some dots and a lighter blue for a little extra color. 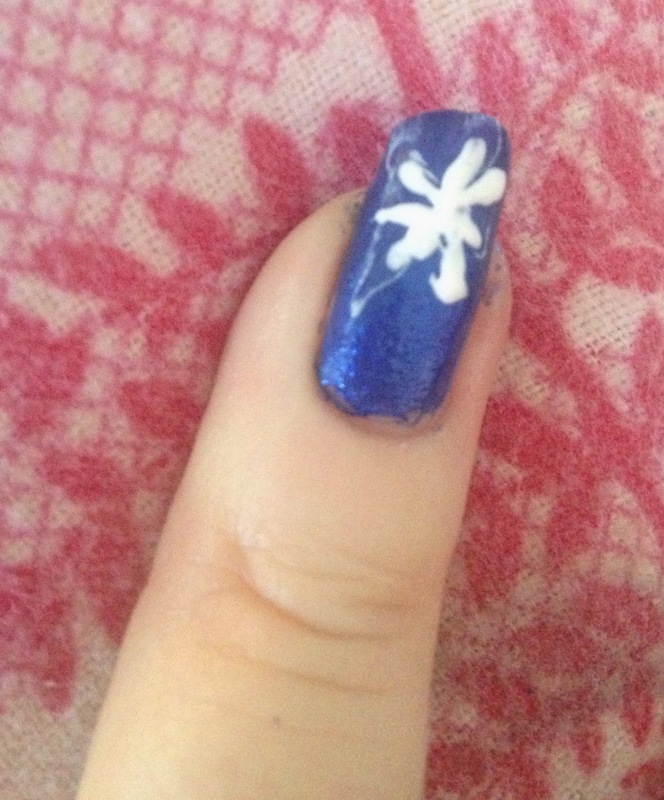 I also used some glitter nail polish to add some shimmer to the snowflakes. 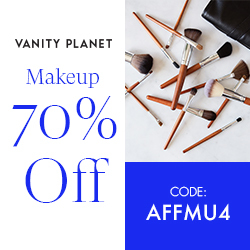 This will also help the nail polish to adhere to the nails. Once dry, apply a base color. Let dry completely. 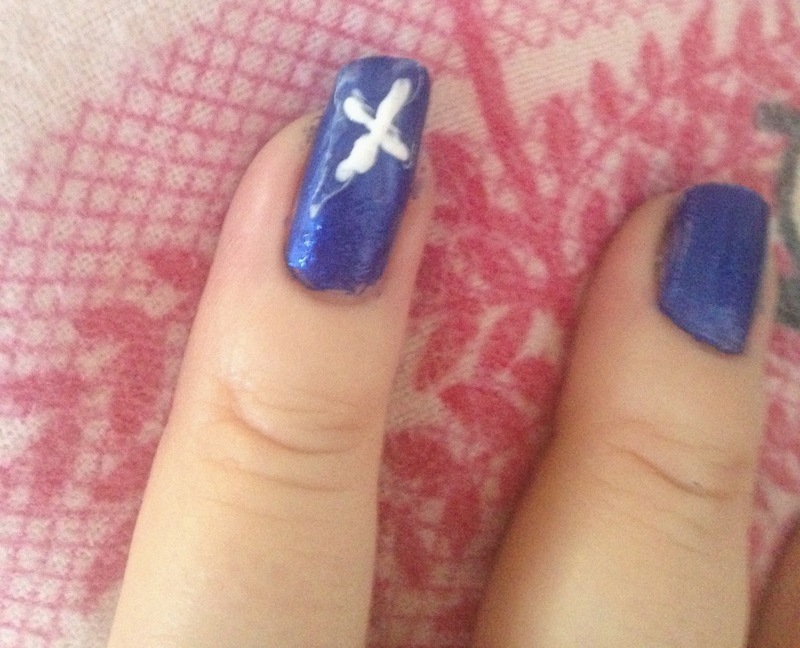 To make the snowflakes, use a nail striper dipped in white nail polish, apply an "X" to the nail. Then add another line through the "X" to make a star shape. Using a dotting tool dipped in the white polish, place some dots at the end of each line and one big dot in the middle. Add a few small dots near the snowflakes. To make falling snow, use a dotting tool dipped in white polish and place 3 large dots to the tip of the nail. Now apply smaller dots going up towards the cuticle. 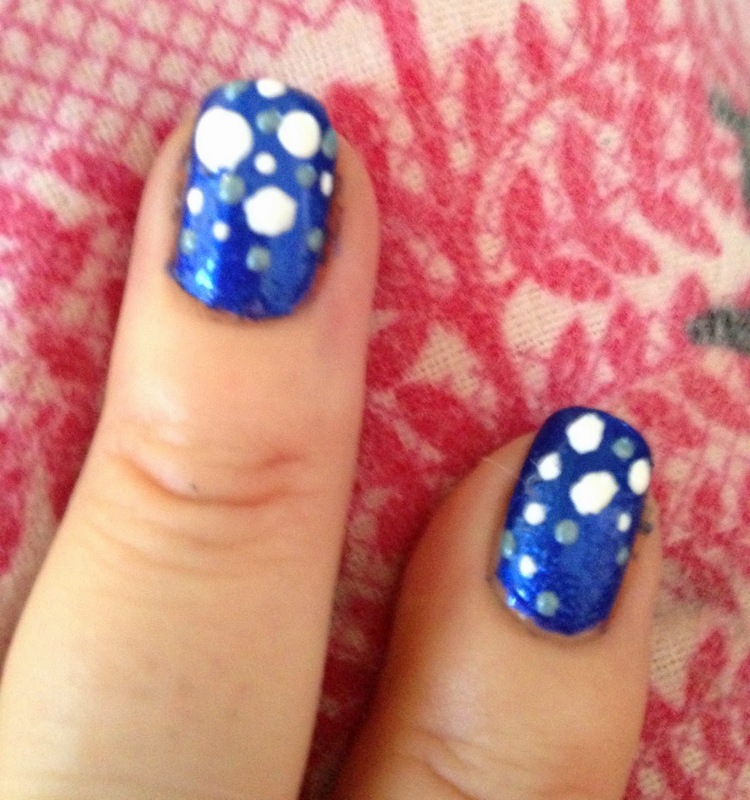 To add some color, dip the dotting tool into a light blue polish and turn some white dots into blue. You can also dab some glitter nail polish onto the snowflakes and in a few random dots for a shimmer effect. 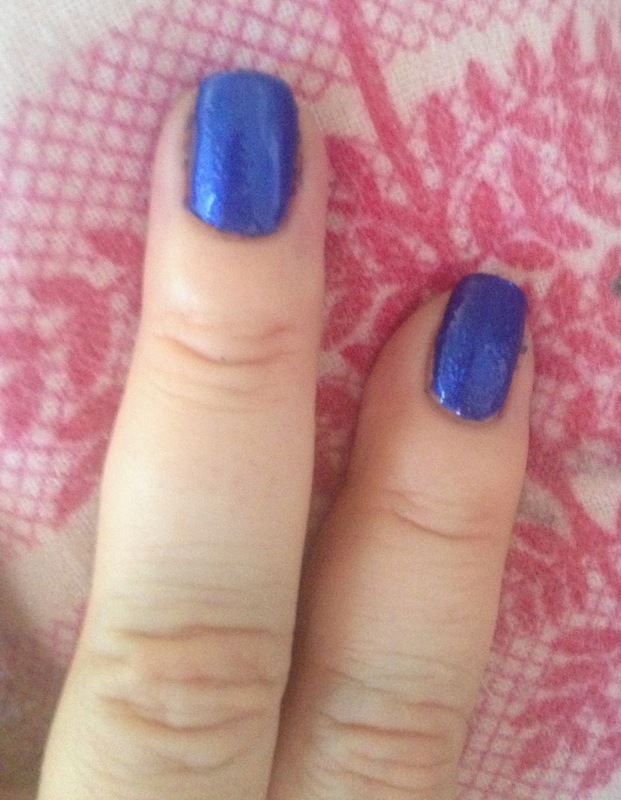 Let nails dry for a few minutes to prevent smudging, apply a generous amount of top coat to add a glossy shine. There you go! 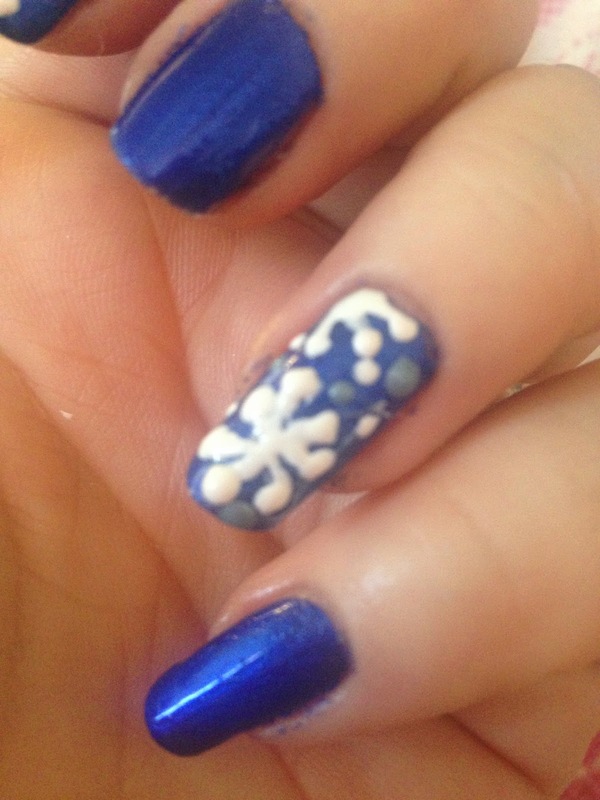 Beautiful Snowflake nails!